Hermit Gulch campground is a campground 1.5 miles away from downtown Avalon on Catalina Island. 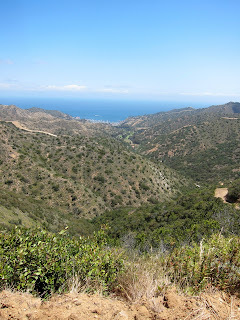 The campsite lies a short distance before Wrigley Botanical Gardens on the Avalon Canyon Road, and is managed by the Santa Catalina Island Company. Below is the “Vlog” from our recent trip to Catalina and Hermit Gulch. It doesn’t provide too much insight into the campground itself, but if you’re looking for things to do and to get a feel for the island atmosphere, check it out! If you’ve never been to Catalina, here’s a crash course on the main attractions of Avalon, a few of which were included in the above video. Downtown Avalon’s Crescent Avenue is where all of the shopping and dining is centered, and with street performing newly legalized, there is always something happening. Green Pier is home to the glass bottom boat and submarine, as well as opportunities for parasailing, diving and boating. Further north, the Casino and Descanso Beach are popular tourist destinations, especially with the new addition of the zip-line, and the Chimes Tower overlooking the Casino provides an excellent view over downtown. To the South, Lover’s Cove is a great snorkeling spot, and the Wrigley Terrace Road leading up to the Inn at Mt. Ada is by far the best view of the beach and casino. A bike is the best mode of transportation, but the climb up to Chimes Tower and the Mt. Ada Inn are challenging for the average rider, and it is imperative to remember to bring a bike lock. Before you plan on camping on Catalina, remember that you need to book a seat on the Catalina Express, the boat service between the mainland and the island. 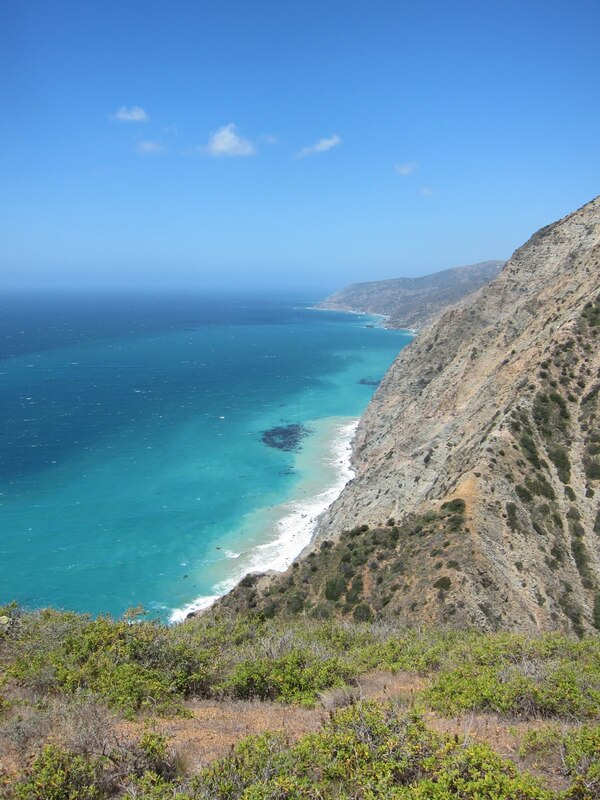 The Express travels from San Pedro, Long Beach, and Dana Point, and you can choose to go to Two Islands or Avalon. For the Hermit Gulch campsite, plan on arriving at Avalon, unless you’re planning on hiking the 30 odd miles down the Catalina Divide trail to reach the campsite from Two Harbors. The hour and 15 minute boat journey is quite pleasant; the seas are usually relatively calm and there is always dolphin sightings to keep you entertained. Even so, I recommend taking dramamine or another sea sickness pill if you are prone to sickness. Camping at Hermit Gulch, or any other campsite on the island of Catalina, poses its own unique challenges since you won’t have a car to be able to transport all of your equipment. When I went, I decided a bike would be the best way to haul my gear from the boat terminal up to the campsite, and it actually worked better then expected. I was able to bungee-chord my tent and two sleeping bags to the bike rack that I have installed on the back of my bike, and although the extra weight made the gradual climb up the road to the campsite harder then it should be, it was a big improvement from walking. Notice I didn’t include mattress pads, I had figured that I could tough out two nights sleeping on the ground, which was a terrible idea. Bring a mattress pad, even if you have to hold it in one hand while riding your bike, it is well worth the trouble. After setting up the campsite, a bike is the perfect mode of transportation for exploring Avalon, where there are very few cars on the road and the coastal roads and downtown are largely flat. The Hermit Gulch Campground is just past the Catalina Company’s visitor center, and is nestled off the road to the right. The campground is made up of 43 sites, each with its own picnic table. Fire wood, charcoal, propane, and ice can be purchased from the rangers, and flush toilets and coin-operated showers are provided. A quick note – the house off to the right when you first enter the campground from Avalon Canyon Road IS NOT the ranger station, it is actually someone’s house. Don’t be one of the clueless tourists like I was and ring the doorbell of the house, the resident will just point out the obvious ranger kiosk and remind you to read the sign. After checking in with the Ranger, you will be allowed to survey the campsites available and pick the one you want (remember – when you make reservations, whether online or over the phone, don’t be puzzled by your inability to select a campsite, you will select it in person). For this reason, it is advantageous to take an early boat over and grab a good campsite before the campground fills up in the afternoon. The sites are arranged along a shallow dry wash, with the main campsites on one side and the 9 tent cabins on the other. The main campground is relatively flat and is arranged around a horseshoe trail. The campsites are close together and most do not have much privacy, although there have been small trees planted in between each one. Thankfully, at least while I was there, the majority of people that were camping were hikers that had descended from the Trans-Catalina Trail, meaning they were too tired to stay up all night partying. No wood fires are allowed, there are only the charcoal grills in each campsite. Since bringing a stove is highly impractical for this kind of trip, you have to come prepared with the knowledge of how to prepare food on these types of grills. Since I possessed none of that knowledge, I ended up eating out in Avalon for every meal, and although it was more expensive, I wasn’t bummed about having to explore the multitude of restaurants in downtown. And for the traditional s’mores, charcoal from the local Vons works just as well as a wood fire! The best part of this campsite is it’s proximity to the Hermit Gulch Trail (the trailhead is actually at the back of the campground). The trail is 1.7 miles almost straight up the hill until it meets with the Catalina Divide Trail. The hike is pretty tough, but well worth the excellent views of the canyon and Avalon. 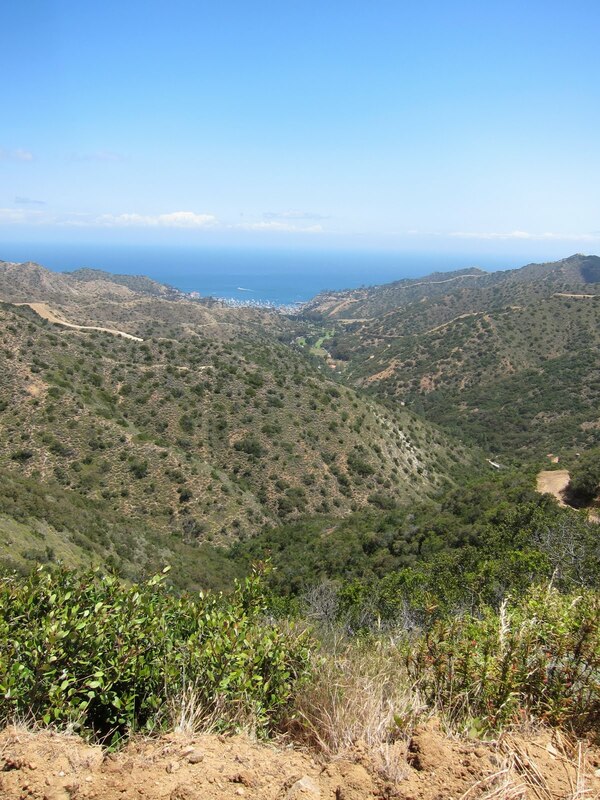 Once on the Catalina Divide Trail, you can hike in a loop that eventually reaches Avalon, although it is about 8 miles. The trail generally follows the ridges on the highest mountains above the canyon, and there are multiple side trails that enable you to see the other side of the island and the eastern coastline. I highly recommend dedicating at least a day to hiking, the beauty and the views are well worth the effort. Just remember to pack your sunscreen and wear the appropriate footgear – the Divide Trail is a well maintained fire road, but I don’t recommend trekking 8 miles in vans! More information on the Divide Trail and other hiking opportunities can be viewed here. Overall, Hermit Gulch is a campsite worth visiting. Although not the most “rustic” of campgrounds or the most private, camping here is a great experience, if nothing more then because of the beautiful location and the proximity to opportunities for adventure. Either way, if you want to camp on Catalina near the town of Avalon, you have no other choice, Hermit Gulch is the only campground. For more information and reservations, visit the Hermit Gulch website here. Thanks for the guidance! A small group of us are going in early August and this is best description of the place I’ve found, including the booking website! Great Blog Post .. glad you had a great time on Catalina Island and that you got some adventure in to!